The Yellingbo Conservation Area Coordinating Committee (YCACC) finished on 31 January 2019. The committee consisted of an independent Convener, four community representatives, and representatives from the Department of Environment, Land, Water and Planning (DELWP), Parks Victoria, Melbourne Water, Port Phillip and Westernport Catchment Management Authority (PPWCMA), Trust for Nature, Zoos Victoria, Yarra Ranges Council, and Cardinia Shire Council. Anne Langworthy worked as a regional development and education consultant for 15 years prior to her appointment in 2000 as Director for the Centre for Regional Development at Swinburne University. 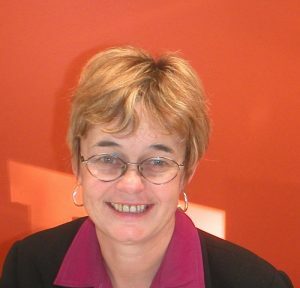 From 2008 – May 2012, Anne held the position of Associate Professor, Director, UTAS College and established the Centre for University Pathways and Partnership at the University of Tasmania before resuming consultancy in Victoria. A feature of Anne’s work has been the development of collaborative partnerships between the university and key regional stakeholders, schools, local government, business and community organisations. Most recently professional work has been focused on strategic development, program evaluation and policy development. Pro bono work has included Board evaluations, and assistance to regional groups. Merryn has over 25 year experience in the natural resource management field and has worked in both rural Victoria as well as in peri urban areas. Her early career was based in country Victoria, working on the Kerang Lakes management (and the delivery of environmental water), salinity management plans in and around Shepparton and flora and fauna management in the far north east. 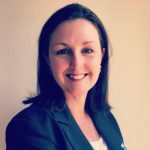 Her current role is the Regional Manager for the Natural Environment Program for Port Phillip Region , which is responsible for implementing the state government plan for biodiversity – Biodiversity 2037. This has a focus on managing and protecting flora and fauna as well as getting people interested in nature. Personally, Merryn has a keen interest in photography, bush walking and bike riding. She is married with two teenaged daughters. Steve has 32 years of experience working for Melbourne Water, predominantly within the Yarra Valley. Early years were spent in sewer and water supply design within the Upper Yarra region before moving into drainage operations. He has over a decade managing the water licensing team within Melbourne Water working closely and establishing relationships with the agricultural community as a key user group. Currently his role is the Team Leader Upper Yarra, North-East Regional Services, Waterways & Land, where his team is responsible for the management of waterways and Melbourne Water owned land across the Upper Yarra region. This is delivered directly through a range of capital works projects and maintenance activities and indirectly through incentives and grants offered to landholders such as the Stream Frontage Management Program and Rural Land Program. Dan Harley is Zoos Victoria’s Threatened Species Biologist responsible for developing the priorities and strategic objectives for several threatened species programs, including the Helmeted Honeyeater and lowland Leadbeater’s Possum. His role includes identifying which species require captive-breeding programs, ensuring that captive-breeding programs are strongly linked with in situ recovery measures, and improving the effectiveness of captive-breeding and release programs. 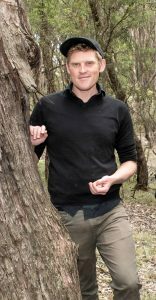 Dan’s PhD research investigated the ecology and conservation of the last lowland population of Leadbeater’s Possum at Yellingbo Nature Conservation Reserve, and he has been monitoring this population for over 20 years. For the past decade he has led work to determine the distribution and abundance of Leadbeater’s Possum populations in sub-alpine woodland, including monitoring recolonization rates following the Black Saturday bushfires in 2009. His research focus includes investigation into the effectiveness of nest boxes, translocation and genetic rescue as management tools to support the recovery of Leadbeater’s Possum populations. His current work also includes the identification of future release sites for Helmeted Honeyeaters and lowland Leadbeater’s Possums. Ben Cullen has been working in the Port Phillip and Westernport Region for Trust for Nature for 11 years. 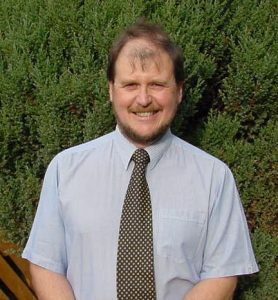 He works with landholders who make up the 240 conservation covenants in the region, as well as managing the 10 Trust for Nature owned reserves in the area. He has an interests in land management particularly around the management of threatened species and communities. This has led to vast experience in working with a variety of both State and Nationally endangered plants and animals. Cr Jim Child is a fifth generation resident of Yarra Ranges who is passionate about supporting and encouraging local business and tourism. 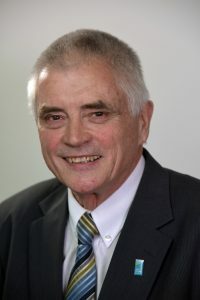 Jim’s long time dedication to the area he calls home is evidenced by the fact that he was first elected to Local Government as a Councillor with the Upper Yarra Shire in 1982, where he served for two consecutive Council terms. Jim held the honour of Shire President during 1985. He also proudly served as the Yarra Ranges Mayor in 2013. Jim has a background in information technology, telecommunications, hospitality and company directorships spanning some 45 years. Jim has a Diploma of Local Government and a is member of the Australian Institute of Company Directors. Jim is keen to provide much needed local employment for residents, especially young people. He is concerned about sensible management of financial, environmental and planning processes and issues. Marianne has been an active conservationist for several decades, in both her personal and professional life. She has a deep affiliation with the Yarra Ranges environment, having grown up in the area. 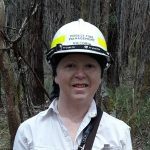 She has academic qualifications in Natural Medicine and Environmental Science and has worked locally for Parks Victoria. For the past 12 years she has worked on Environmental Program development and delivery through her role as Biodiversity Officer at Cardinia Shire Council. Jeff is a third generation resident of Emerald and lives adjoining the Menzies Creek Stream Reserve that is part of the YCA. His property was part of his family’s market gardening property. 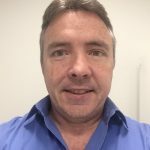 Jeff is an arboricultural, bushfire and native vegetation consultant through his business Treedenvirons which provides consulting services across Victoria. 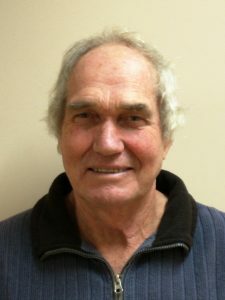 He has 36 years of experience in the environment through employment in State and Local Government in Fire, Land, Waste and Park management and as a consultant. 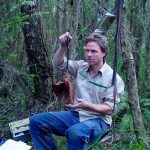 Jeff holds a Bachelor of Forest Science (Melb) and is an accredited Tree Risk Assessor with the International Society of Aboriculture. Jeff has been active in the community and has been active in a number of Community Groups including Meander, Emerald Scouts, Johns Hill Landcare and the Woori Yallock Creek Park Alliance. Jeff was awarded the Emerald Citizen of the Year in 2011 and the Scouts Australia Meritorious Service Award in 2016. Jeff was a member of the Community Reference Group for the VEAC Yellingbo investigation from 2011 to 2013. 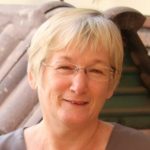 Sue has lived, worked and volunteered within the Yarra Ranges Council area for well over 20 years. 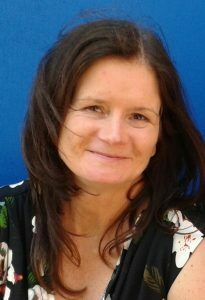 Sue is an active member of her community and has developed a broad range of skills in working with individuals and committees in the education, health and environment sectors. Sue’s paid work roles have centred on engaging and involving people in their community and in their own learning. Sue has a sound knowledge of the environmental values of the Yellingbo Conservation Area and looks forward to working with other YCACC members and the broader community in making a positive contribution to this region. Peter is a second generation farmer who lives and works in the Upper Yarra Valley. Peter’s 208 acre property supports a beef and dairy business. Peter’s property contains areas of native forest and riverside frontage. Peter works to conserve the biodiversity values of his land, and healthy waterways, through good farming practices. Peter has a good understanding of the local farming community and has been a representative on a number of community organisations including the: Powelltown Emergency Committee; Powelltown Water Committee; Public Hall and Church Restoration Committees; and Yarra Waterways Committee. The process of appointing community representatives was led by Yarra Ranges Council and Cardinia Shire Council and included advertising for the positions on their respective websites and in the local papers and conducting interviews of prospective members. Justin has a demonstrated history of working as a project manager in the fields environmental science and international development both in Australia and Asia. His more recent experience includes working as a project director for the World Wide Fund for Nature (WWF), managing a forest carbon project in Thailand. 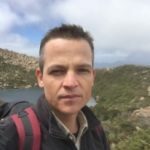 Prior to commencing in his current role with DEWLP, Justin was employed as the Director of Research Programs with the Earthwatch Institute (Australia), responsible for managing a range of both marine and terrestrial environmental research projects across Australia. Justin holds a Master of Social Science in International and Urban Environmental Management from RMIT University, Melbourne. Joan has worked in the health, education, business, and not-for-profit sectors in a range of research and executive support roles. Her early career began in nursing and in later studies she added a Social Science Degree graduating with distinction. Joan has contributed to many community projects in her various roles with Swinburne University of Technology, and the Sustainability Research Centre at the University of the Sunshine Coast. Personally, Joan enjoys living in the Yarra Valley and her hobbies include volunteer work, reading, and walking.